To give you the best possible advice, we need to understand your business inside out. It’s that passion for understanding businesses that sets us apart from most other firms of accountants. It may say ‘Accountants’ on the door, but there’s far more to Castletons than that! Our clients tell us we are a friendly bunch – always willing to help. They tell us we offer excellent value for money and a level of service that’s uncommon among accountants. We think that’s how every accountant should be… but experience tells us otherwise! Discover more about what our clients think here. As far as possible we work with fixed fees, quoted in advance. We hate surprises as much as you do, so you can always rely on our quote 100%. That means you can call us any time without fear that the clock is ticking. In fact, we encourage you to call us, so we can keeptabs on what’s happening in your business. If a need arose for us to do more work, then we’d discuss it with you and give you a separate quote for the work beforehand. Like almost all accountants in Cheshire, we offer a full range of accounting and business advisory services for small to medium sized businesses including bookkeeping, start-ups and taxation. As Registered Auditors we can also conduct an audit of your business if your turnover warrants it. 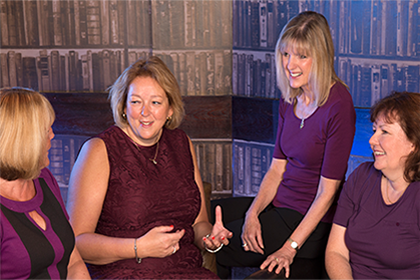 What makes Castletons Accountants in Wilmslow different from other firms is our passion for business and the need to understand your personal and business goals and objectives. Without knowing those, we feel we would just be ticking boxes! Throughout the year we keep you updated on the latest Government and Business initiatives and try to tailor them to your individual requirements. What’s more, this service is free because we believe that keeping you informed means you can make better business decisions. This proactive approach is just one of the ways that sets us apart from the majority of accountants and gives clients what they want… an Accountant who takes a genuine interest in your business. Changing Accountant is a lot simpler than you may think. All you have to do is complete some simple details and we do the rest. Don’t let distance be a factor if you are thinking of changing. Skype and Facetime make it far more cost effective and convenient for us to have ‘face-to-face’ meetings without the need for you to leave your office. We service all clients from our offices in Wilmslow, Cheshire, and many have remarked that our level of personal service far exceeds that of their previous local accountant.